HPI’s newest initiative grows homeownership in neighborhoods of western Louisville, where decades of enforced segregation, housing discrimination, disinvestment, and misguided federal housing policy have left a pattern of concentrated poverty and property abandonment. In 2015, HPI launched the Beyond 9th Initiative to address housing issues in these neighborhoods. 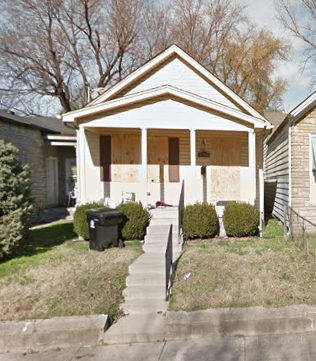 Instrumental to the Initiative’s housing strategy, HPI has worked to develop a method by which the organization might identify areas where the development of new or rehabilitated single-family homes would most likely contribute to, and benefit from, the relative stability of adjacent properties, and, thereby, help restore the economic soundness of ever larger areas of West Louisville in incremental phases. The Beyond 9th Initiative will expand homeownership opportunities available to households within 80 percent – 120 percent of the 2015 County median (i.e., $39,000 - $58,500) and to do so in a manner that would place such units within proximity to a sufficient number of existing owner-occupied units. This will allow for synergistic appraisals and for the positive inflection of economic value within individual blocks and, subsequently, among contiguous grouping of blocks within the subject neighborhood. In the summer of 2017, after over a yearlong petition, the U.S. Department of Housing and Urban Development (HUD) granted HPI the ability to participate in the FHA Nonprofit Mortgagor program. 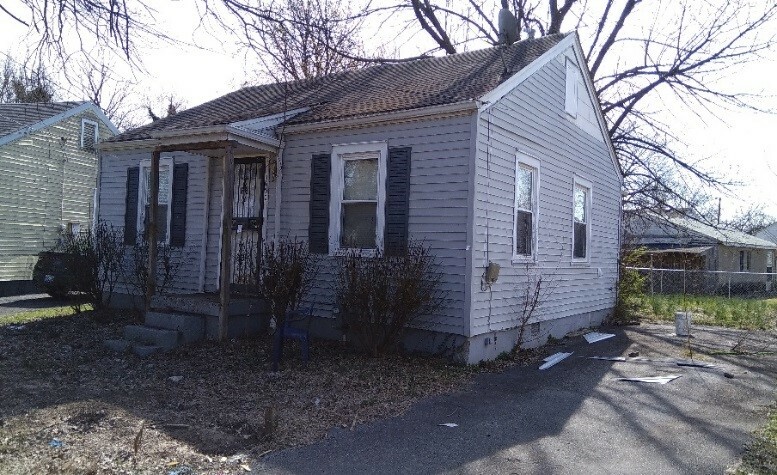 The program grants HPI greater latitude in the utilization of a mortgage product that would enable HPI to increase its renovation and production of owner-occupied, single-family homes in West Louisville. HPI is the first nonprofit in the nation in over a decade to obtain a single-family FHA loan in its name in the program. Through the program, HPI can acquire single-family properties with FHA financing and convey the mortgage to homebuyers through a lease-purchase program. The homebuyers would be in a position in which they build equity and decrease their monthly housing expenses by assuming a relatively low mortgage payment. This is a significant tool in accomplishing the goal of normalizing the housing market in these neighborhoods, as it creates quality housing affordable to low-income homebuyers without placing restrictions on the units. HPI has acquired five homes through the program, and has a pipeline of both targeted acquisitions and homebuyers. While the available housing stock in the Russell, California, and Portland neighborhoods still contains many income-restricted and distressed properties, HPI has acquired and/or stabilized approximately 36 units of multifamily and single-family housing since the beginning of 2016. HPI has also invested in capital improvements for existing, unrestricted HPI-owned properties in Russell. Not all the properties HPI acquired are unrestricted or converted for homeownership. However, these acquisitions and improvements stabilize properties on distressed blocks, add significant value to the neighborhoods, and increase organizational cashflow to be recycled back into the Beyond 9th Initiative. These initial acquisitions also allowed HPI to refine processes and determine best practices. This phase demonstrated HPI’s capacity to be successful in this endeavor, leveraging more resources and instilling confidence in potential partners, investors, and stakeholders. While described as a single initiative, from a financial and business standpoint, the Beyond 9th Initiative approach is really two programs in one. The single-unit properties will be offered for sale to HPI’s residents through a lease-purchase model, while the two, four-unit structures will be placed permanently in HPI’s existing portfolio of rental properties. Upon completion of the rehabilitation, each single-unit detached home will be placed temporarily into HPI’s existing portfolio of scattered-site, single-family rental properties. Residents will be offered the opportunity to acquire the home under a purchase option offered at the time of signing the lease. During the time that HPI owns the home, the net cash flow after operating expenses, replacement reserve deposits, and payments on the FHA-insured loan will be reinvested in the overall initiative. Unlike some lease purchase approaches, such as that of the HOME Investments Partnership Program which limits the lease period to no more than 36 months, HPI has the flexibility to work with lease-purchase buyers over an extended period, if needed, as they work toward homeownership. During the lease period, residents will be required to work with HPI existing homeownership programs, which can include pre-purchase counseling, credit-repair services, and down payment assistance to prepare them for mortgage qualification and transition to ownership. The purchase option will allow residents the right to purchase the home they are leasing at the then-current market value of the home (e.g. the appraised value as of the future date when the sale actually occurs). To finance their purchase, residents will be offered the opportunity to assume the underlying FHA-insured loan, and HPI will provide secondary financing in the form of a deferred, due on sale, second mortgage that covers the difference between the outstanding balance of the assumed FHA mortgage and the then-current market value of the property. In a rising interest rate environment, many buyers will likely lock in lower interest rates by assuming HPI’s initial FHA loan. The zero percent rate on the deferred second mortgage means that not only will the effective blended interest rate be substantially lower than market, but the monthly payment for most buyers is likely to be lower than rent they paid during the lease period. As is often the case in the acquisition, rehabilitation, and resale of single-family homes by community-based nonprofit developers, HPI expects to incur losses. The total cost of acquiring and redeveloping the typical home will exceed the market value at rehabilitation completion resulting in a “development subsidy.” Unlike programs that focus on immediately selling completed units to low- and moderate-income buyers, HPI’s lease purchase approach is intended to limit the development subsidy (or loss). First, during the lease period, HPI anticipates that each detached home will produce net cash flow on an annual basis after paying operating costs, making replacement reserve deposits, and paying debt service on the FHA loan. Second, the secondary financing HPI will provide to buyers at the time of the actual sale—if homes have increased in value during the lease period—will secure and eventually recoup a portion of the HPI equity invested. HPI has and will continue to work strategically alongside the many initiatives in West Louisville. While the vacancy rates are still high in these neighborhoods, the Beyond 9th Initiative’s objectives are long term, and HPI foresees considerable impact in the upcoming years. HPI hopes that this model can serve as a model for community development organizations across the country. The largest development initiative in the area is the soon-to-launch revitalization of the Beecher Terrace community, for which the city was awarded $29.5 million in federal funding through the Choice Neighborhoods program. It is anticipated that the project will bridge downtown economic development to the Russell neighborhood. As a result of the demolition of the existing public housing units, there will be a need for hundreds of new, quality replacement units. HPI plans to contribute much needed supply of safe, decent, affordable housing through the Beyond 9th Initiative. Near the Choice Neighborhoods footprint and existing HPI properties are several commercial and residential initiatives. The Cedar Street revitalization development, a public-private partnership, has yielded dozens of newly constructed, single-family homes, as well as a business incubator, Chef Space. Also, Passport Health Plan, a local community-based, nonprofit health plan that administers Medicaid benefits, is moving its main campus to Russell. This move will bring nearly 500 jobs to the area, which could generate demand for more mixed-income housing. HPI hopes to complement this new construction through the acquisition and rehabilitation of vacant properties in the area. What strategies does your community use to revitalize neighborhoods leveraging private-public partnerships that provide quality, affordable housing and stimulate the job market? Andrew Hawes, guest blogger, serves as the President of The Housing Partnership, Inc. Founded in 1990, The Housing Partnership, Inc.’s (HPI) mission is to be “a non-profit real estate development organization that creates affordable housing opportunities to encourage family stability and support and empower our community.” It is a member of the national NeighborWorks network and an accredited Community Development Financial Institution (CDFI).